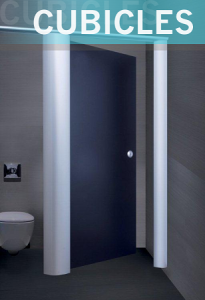 Need a cubicle solutions supplier for your Sheffiled washroom refurbishment or installation? RDM Cubicles are on hand to help. We can supply you with a wide choice of cubicle prices and finishes delivered with a selection of IPS Panels and Vanity Units to complement your needs. The Severn Range: (Moisture Resistant MFC cubicles). The Avon Range: (Solid Grade Laminate & CGL Systems). The Premier Range: (Metal Framed cubicle solutions in MFC or SGL). 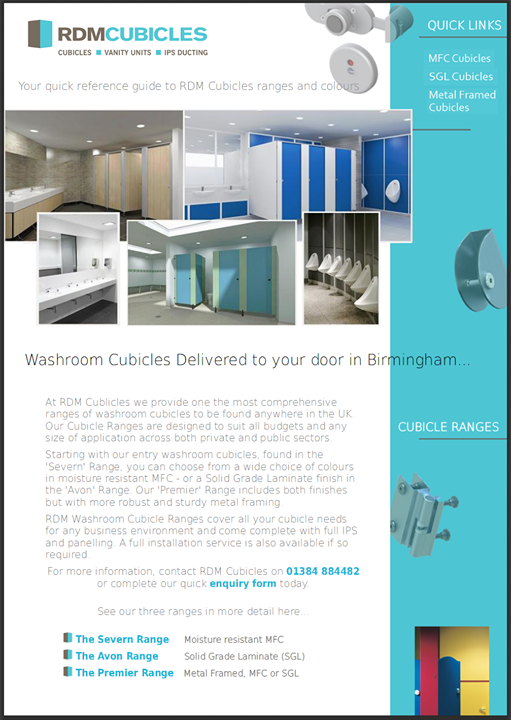 All RDM Cubicles are manufactured by only the best brand names in the industry, so quality is assured for every Washroom installation. To book a site survey or to discuss our cubicle ranges , simply fill out our quick enquiry form or call our offices today. All jobs are produced to specification and CAD drawings are provided along with visuals to assist in the design process.